In this 3+2 program, students complete a pre-professional phase for the first three years, and a professional phase (didactic and clinical years) for the last two. Entrance to the professional phase requires selection into the major. The first selections for admission to the professional phase of the B.S./M.S. in Physician Assistant Studies major will take place in June 2020 for a Fall 2020 semester start. Prospective students may apply for admission to Penn College prior to the Fall 2020 semester to complete pre-professional coursework. Please refer to the Special Admission requirements for high school students and transfer students below. State-of-the-art. Gain hands-on experience in state-of-the-art labs, including the on-site cadaver lab with a 5:1 student to cadaver ratio. 100%. Historically, Penn College physician assistant graduates have earned 100% job placement within the first six months. Intensive learning. Clinical rotations are designed to give students extensive experience outside of the classroom. Rotations includes: family practice, pediatrics, psychiatry, emergency medicine, obstetrics/gynecology, internal medicine, surgery and elective. Board-certified faculty. Learn from experienced and knowledgeable faculty who incorporate the latest technologies and practices into the curriculum. 93% pass rate. Penn College first-time test takers achieved a 93% pass rate on the Physician Assistant National Certifying Examination (PANCE). Small class sizes. This guarantees that students receive individualized attention and more hands-on time in labs. Penn College is proud to offer a 10:1 lab ratio and a 1:1 clinical rotation ratio. Physician assistants (PAs) are health professionals licensed to practice medicine with physician supervision. PAs exercise autonomy in medical decision making and provide a broad range of diagnostic and therapeutic services. The clinical role of physician assistants includes primary and specialty care in medical and surgical settings in rural and urban areas. Students will learn to work successfully in the health care environment, provide treatment for patients, problem solve, and value their professionalism. According to the Bureau of Labor Statistics, the job outlook for physician assistants during the time frame of 2014-2024 is projected to increase by 30% (much faster than the average of 7% growth rate for all occupations). Physician assistant was added to the high priority occupations in Pennsylvania and by the Central Workforce Investment Board in 2015. Pennsylvania is listed as one of the states with the highest number of employed physician assistants. Certified physician assistants (PA-C) are employed in a variety of settings nationwide, including (but not limited to): family practice, obstetrics and gynecology, internal medicine, gastroenterology, plastic surgery, neurology, neurosurgery, psychiatry, oncology and hematology, emergency medicine, orthopedic surgery, general surgery, cardiovascular surgery, correctional medicine, urology, and pediatrics. According to the Bureau of Labor Statistics, the median annual wage for physician assistants was $108,610 in May 2018. The top 10 percent earned more than $151,850. The Accreditation Review Commission on Education for the Physician Assistant (ARC-PA) has granted Accreditation-Continued status to the Pennsylvania College of Technology Physician Assistant Program sponsored by Pennsylvania College of Technology. Accreditation-Continued is an accreditation status granted when a currently accredited program is in compliance with the ARC-PA Standards. View the Physician Assistant program goals. To view acceptance criteria, testing requirements, performance expectations, and the admissions ranking system, consult the Physician Assistant selective admissions information. 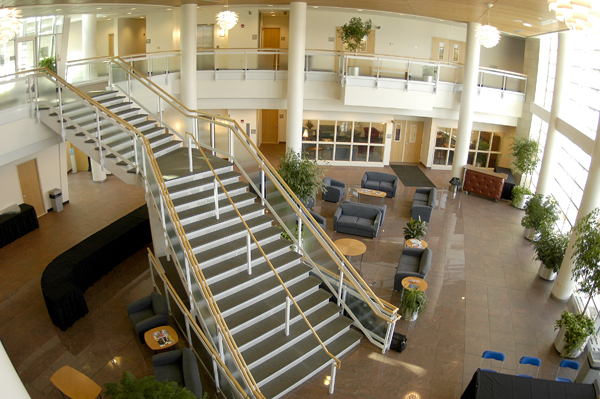 This major is subject to the transfer standards established by the College (see http://www.pct.edu/catalog/TransferringCredits). Exceptions must be approved by the school dean. Students accepted into the Physician Assistant major will incur expenses for tools/instruments, uniforms, malpractice insurance, clearances and certifications, etc. See the complete list. Inability to gain clinical education experience results in inability to meet program objectives and outcomes. The presence of a criminal record can result in agencies refusing to issue credentials necessary for employment. Students enrolled in the Pre-PA Program or the PA Program cannot apply for work study jobs in the program.